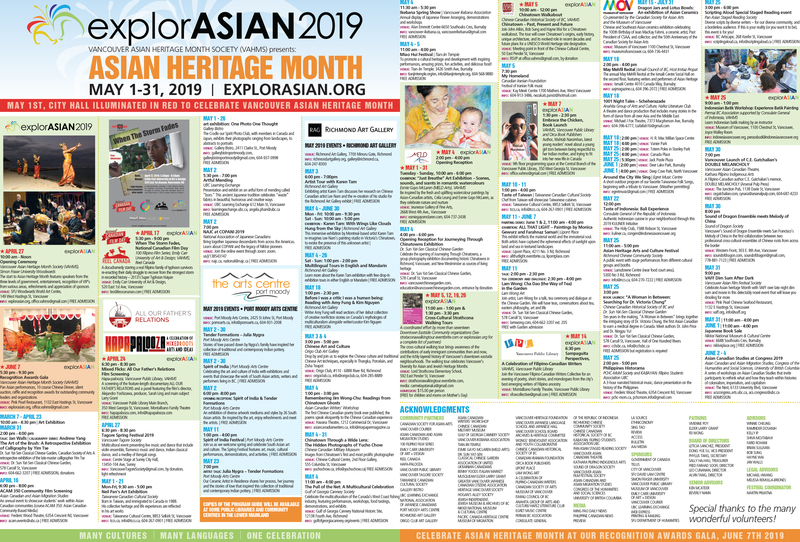 The Vancouver Asian Heritage Month Society Annual General Meeting will take place on at the Lipont Art Centre on Sunday, January 7th, 2018, from 2-4 pm. The AGM will be followed by an artist led tour by Joseph Loh. By Skytrain: Take Canada line, get off at Aberdeen Station and cross No. 3 Road. By car: Turn into the parking lot at the West side of No. 3 Road and Browngate Road. Parking is free.